Grandville Crossing is conveniently located at I-196 and 44th Street (on Kenowa Avenue), offering excellent visibility from the interstate. 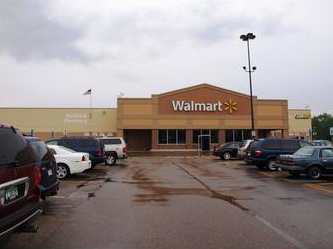 The center is anchored by Wal-Mart, which opened in January 1998. A 75-foot high pylon sign has been installed on I-196 to allow retailers maximum highway visibility. Kenowa Avenue has been widened to a three lane roadway with dual left turn lanes from W. 44th on to S. Kenowa Avenue to ensure easy access from the highway. Retailers who choose to locate to Grandville Crossing will benefit from the mall traffic as well as the 37,000 cars per day that bypass Grandville Crossing on I-196.